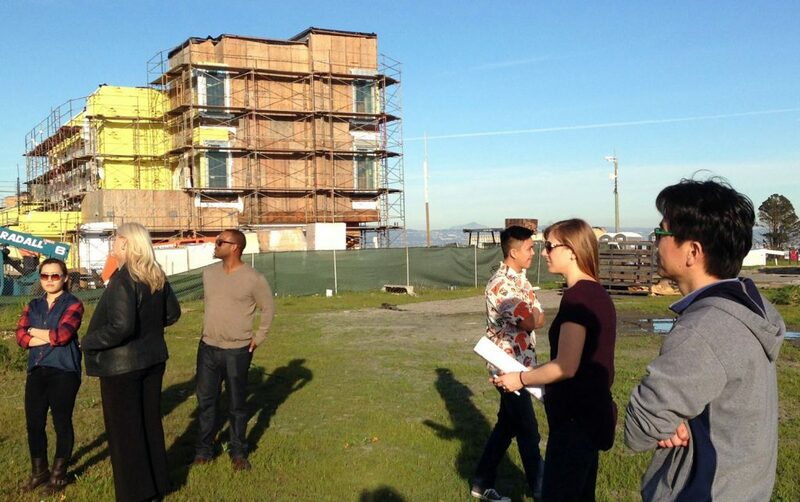 Recently our team visited the Block 48 construction site, the latest in a series of housing projects at Hunters Point Shipyard in San Francisco. 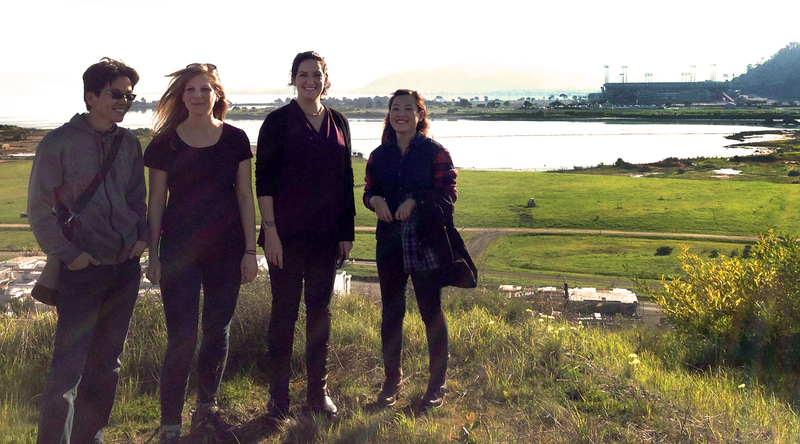 What remains of Candlestick Park is in the background of the group photo. This site will eventually be an outdoor shopping district ringed with housing restaurants, theaters and the like. Our vantage point is from the ground floor of the 3-story town homes we are designing. Also see what we are up to at Block 52.